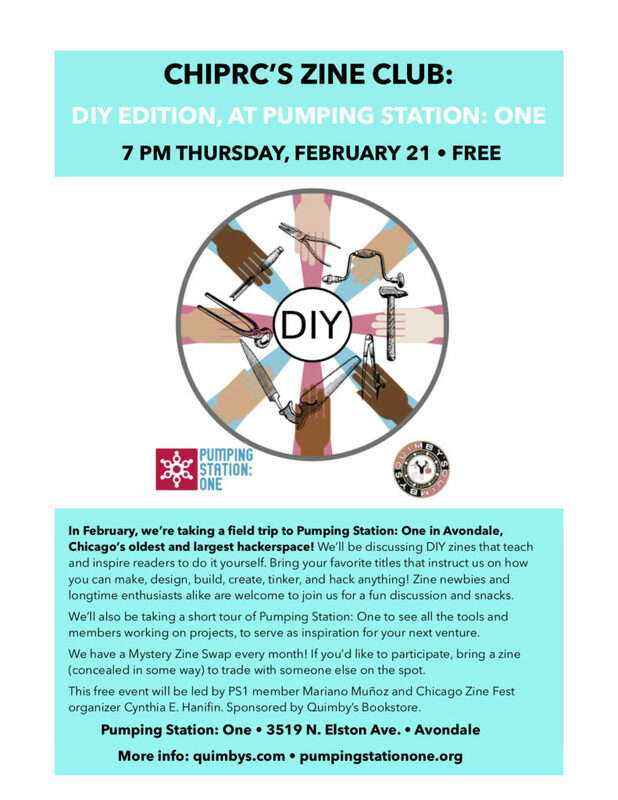 In March, our husky, brawling metropolis turns 182, and we’re celebrating by exploring zines made in Chicago! 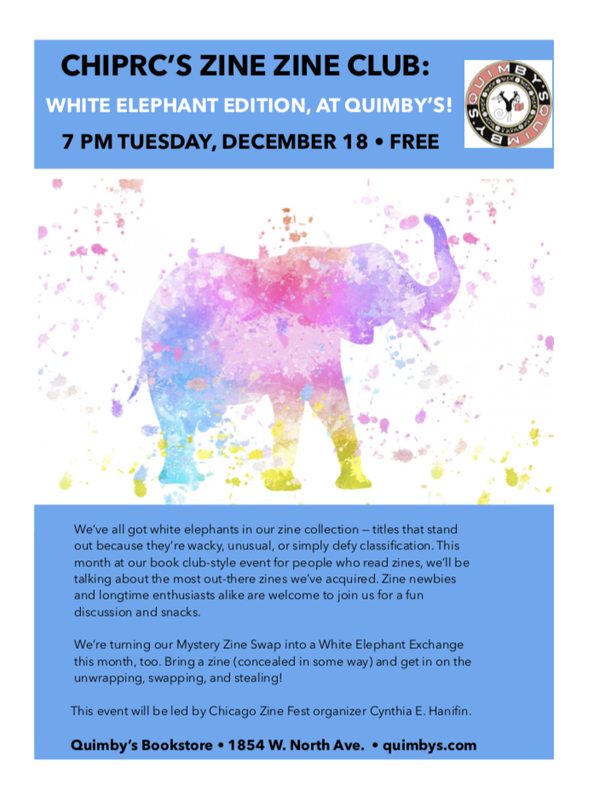 This month at our book club-style event for people who read zines, we’ll be talking about our favorite titles that were created right here in the city that is second to none when it comes to self-publishing. Local zinemakers, please bring one of your own zines to share! Zine newbies and longtime enthusiasts alike are welcome to join us for a fun discussion and snacks. 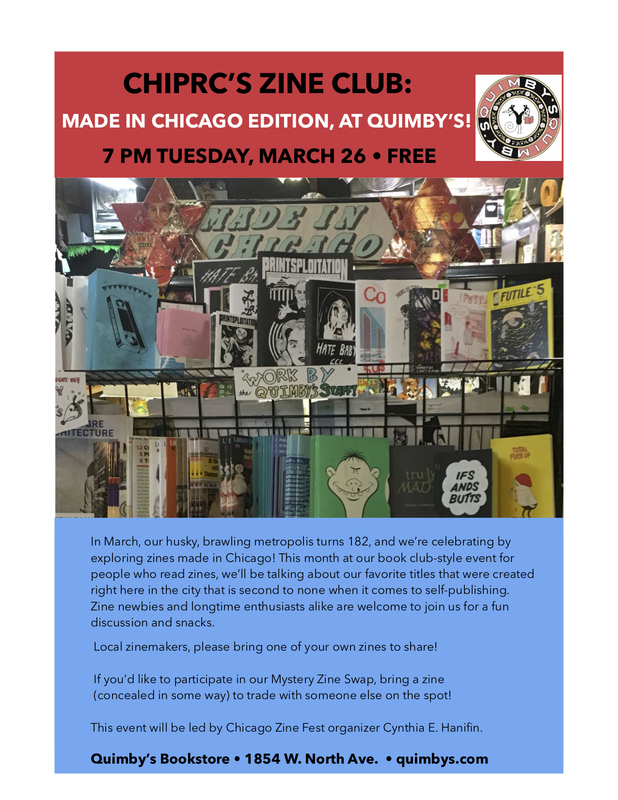 CHIPRC’s Zine Club: Made in Chicago Edition, at Quimby’s! Facebook fiend? The invite is here. 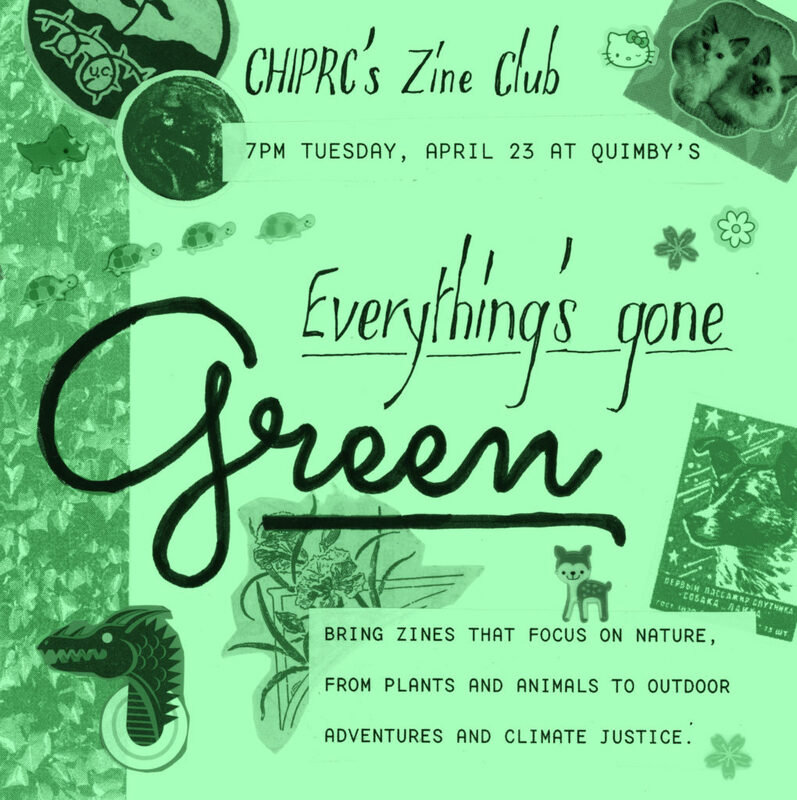 Tags: CHIPRC, Cynthia E. Hanifin, local zines, Zine Club, zines.